This journal is a scientific journal publications to develop knowledge in the field of Medical Science and Health. Topics of papers that can be published in the Jurnal Kedokteran dan Kesehatan Faculty of Medicine and Health, Universitas Muhammadiyah Jakarta is scientific topics that correspond to areas of interest in the Faculty of Medicine and Health are Medical Science, Public Health, Obstetrics, Nursing, Pharmacy, Nutrition, other fields of health sciences. This journal is published periodically since 2004, two times in one year (January and July). Available online since January 2016. 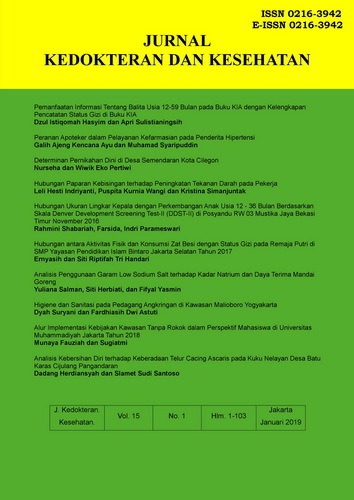 Jurnal Kedokteran dan Kesehatan is licensed under a Creative Commons Attribution-NonCommercial 4.0 International License.